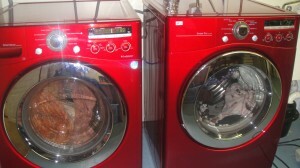 Two years ago I bought the washer and dryer pictured above. Of course, they weren’t sold with the laundry in them. I announced to friends, “This is probably the last washer and dryer I will ever buy!” I didn’t say it to be morbid. I read the warranty and I did the math. Those younger than me scoffed at that, but anyone my age or older, paused – probably to watch the highlights of their life pass before them and then they made a few cheery statements of their own. “If I buy my next car and keep it until it conks – that may be my final car – maybe one more. If I lease for 36 months that works out to four more cars. That feels better – although, before I know it my kids or the cops will probably take away my license and tell me it’s for my own good. Have a nice day, fellow baby boomers.